When you put a plate of vegetables in front of your kids at dinner do they immediately respond with a chorus of groans? Don't worry, that's pretty standard across most households. It feels like there's a country-wide struggle to make eating veggies fun. As you know, rabbit food is an important part of every growing child's nutrition. But maybe if you grow your own assortment and get the kids involved they'll be more willing to eat the fruits - or veggies - of their labor. 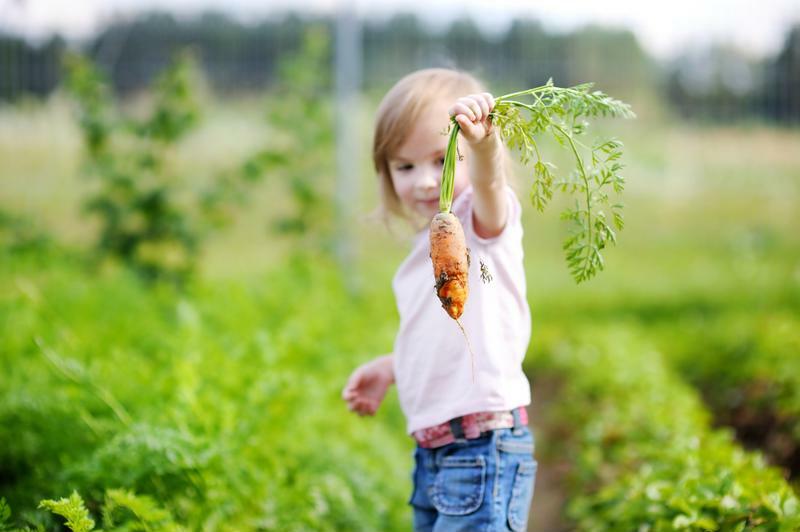 By giving the kids the opportunity to pick and plant their own veggies, you're empowering them to make their own choices, which should considerably reduce the groans come dinnertime. They chose the veggies and nurtured them from sprouts, so they won't feel like you're forcing them down their throats. Handing them their own garden patch will also subtly teach the kids a great amount of responsibility and education. 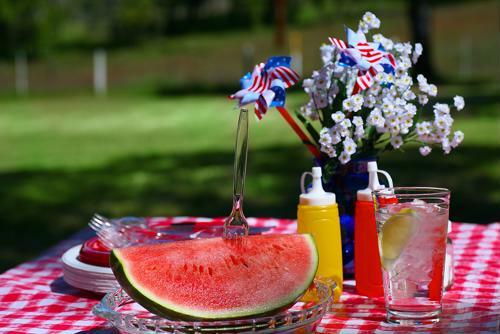 Fruits and Veggies Matter nutrition blog lays out some of the vegetables that are easiest for kids to take care of include tomatoes, carrots and cucumbers. "Personalizing the experience will really be the key to enjoyment." You can work together to teach them best gardening practices as well as information about the seeds, soil and nutrition. It will be fun for both you and the kids to watch the plants develop from seed or buds into full grown, edible vegetables. Don't forget to get the kids their own tools. Personalizing the experience will really be the key to enjoyment - otherwise it might just end up feeling like a chore to them. 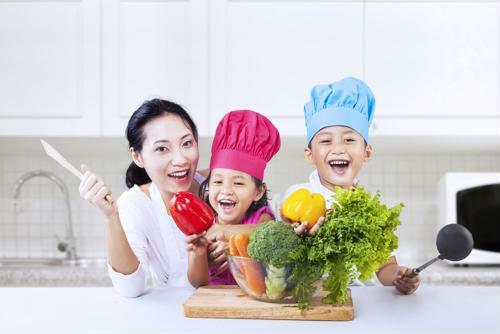 Give them the right tools and guidance, and they'll be well on the way to a lifetime of healthy eating habits. Kids aren't exactly neat freaks, and they certainly don't like having to be told to wash up. But this time, do just the opposite of that, actually encourage them to get dirty in the soil and mud, suggests the Guardian. Find the biggest, fattest worms they can and put them in their garden patch. 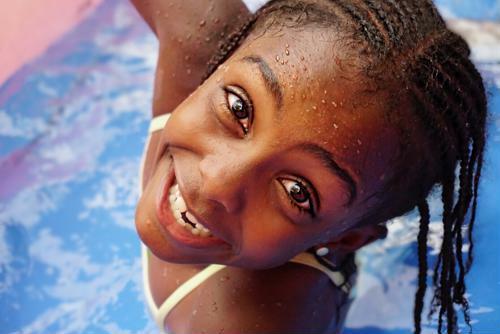 When it comes time to water the plants, they can also wash themselves off in the sprinkler or at the end of the hose - that way you can rinse some of the dirt off before the kids enter the house, though it'll still feel like play time to them. 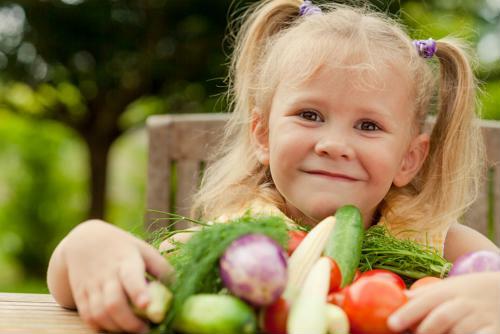 Teach kids how to make healthy eating choices with their own vegetable garden. Ground beetles: Got ground beetles? Good! Rodale's Organic Life magazine explains that this insect will help take care of unwanted bugs such as slugs, snails, cutworms or maggots. Lady bugs: These popular bug are also great to have in the garden as they eat pests like mites and mealybugs, says the source. Tachinid flies: The tachinid fly looks somewhat like a fruit fly, but they should be welcomed in your garden because they will go after any caterpillars who might be trying to make a meal of your veggies. Damsel bugs: A damsel bug will go after leafhoppers and thrips - they are most commonly attracted to alfalfa fields, which will be a good addition to your garden anyway! Now comes the fun part! Work up some recipes with the kids that they'll actually want to eat. Turn some of their veggies into a fresh juice or smoothie for a healthy vegetable juice before school. You can also have a little bit of fun with the veggies by turning them into little characters, depending on what you planted. The important part here is that you want to teach the kids about good nutrition as it is the fuel their bodies need for growth and the nourishment their minds require for development.